I think that deep down most people wish that magic was real. Maybe that’s one of the reasons that I love magical realism as a genre. In magical realism, our world is infused with just a little bit of magic, which usually illuminates something about human nature. 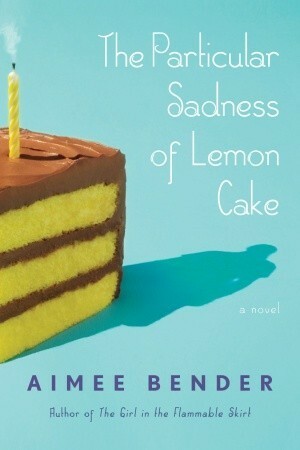 Recently, I read the magical realism novel The Particular Sadness of Lemon Cake by Aimee Bender. In this book, Rose Edelstein has a magical gift that is also kind of a curse: whenever she eats something, she can taste the emotions of the person who made the food. I think that the goodreads description sums up this book beautifully: “The Particular Sadness of Lemon Cake is a luminous tale about the enormous difficulty of loving someone fully when you know too much about them.” As Rose learns more about her gift and those around her, she has to reckon with the fact that people often try to hide what they’re feeling for a reason. This is definitely a character-driven book that focuses mostly on Rose and her family dynamic. As they navigate their lives, emotions, and disappointments, Rose uses her gift to truly empathize with others and learn more about being human. I really enjoyed this book and thought it was unique in concept and had some truly beautiful prose. If you’re looking for something psychological and very character-driven, I think you should give this one a try! Recently, in my MFA program, I took a magical realism literature course where I was required to read One Hundred Years of Solitude by Gabriel Garcia Marquez. I had never read anything by Marquez, although he has been on my to-read list for quite some time. I found that reading this book was an absolutely magical experience and I’m so glad that I finally had a chance to explore this great author’s work. Magical Realism is an interesting genre. It’s very prevalent in South American literature, although it pops up in a lot of cultures. The trademark of magical realism is in its own name: it is realistic (often literary) fiction that focuses on the real world, however it contains elements of magic. It often has a feeling of folklore and fable which makes it seem almost timeless. Other notable works of magical realism are The House of the Spirits by Isabel Allende, Kafka on the Shore by Haruki Murakami, and Midnight’s Children by Salman Rushdie. One Hundred Years of Solitude takes place in the fictional land of Macondo, a place colonized by weary travelers who decide to stay and create their own haven. However, as time goes by, this seemingly perfect paradise becomes corrupted by the encroaching world around it. 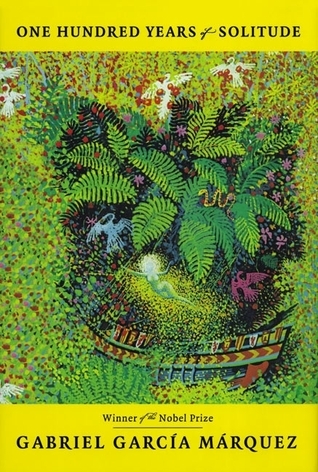 Macondo acts as a sort of “Garden of Eden” and there are many Biblical allusions in this book, another staple of South American literature. The large cast of characters intersect in their parable-like stories that show different forms of frailty in human nature. Peppered with visits by a God-like character who seems to know everything before it happens, this is a truly magical tale of humanity, magic, and the circle of life and culture. I definitely recommend it! I’m not a huge science fiction/fantasy fan, but every so often I get in the mood for something other worldly! I decided to pick up Libriomancer by Jim C. Hines because I really enjoyed his Princess Series (a retelling of some classic fairy tales). I was so impressed by this book, and I can’t wait to read more in the series! It was incredibly unique and fast-paced. Libriomancer is jam-packed with action and adventure, and it really sucked me in from the very beginning. I would classify this book as magical realism because it takes place in our world, but there are definite elements of magic. 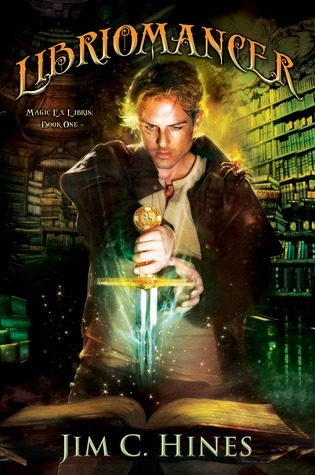 I loved the way that magic was set up in this book – certain types of magicians called Libriomancers can literally pull out items from books and use them. (Just think of how cool it would be to pull out the sorcerer’s stone from Harry Potter!) The structure of the magical world in Libriomancer was well-defined and developed: there is a secret society that governs how magic can be used (led by Gutenberg himself – who has gone missing). There are also vampires and nymphs and spiders that emit fire. A LOT happens here, but it all really works and was so entertaining. The main character, Isaac Vainio, is a disgraced libriomancer who now catalogs magical tomes as a librarian instead of practicing magic. However, when a band of rogue vampires get him entangled in the mystery of where Gutenberg has gone, he must face his past and rediscover the magic within. He’s a great main character with many complexities. I enjoyed his personal, internal journey as well as the vivid, exciting plot. 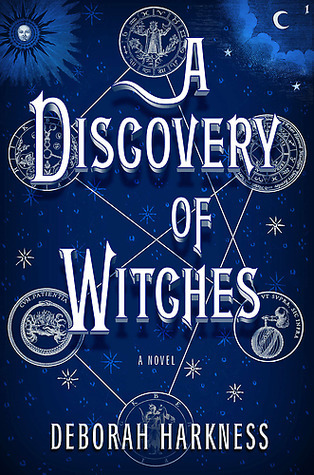 I would highly recommend this book to someone who loves magical elements and is looking for something plot-driven!